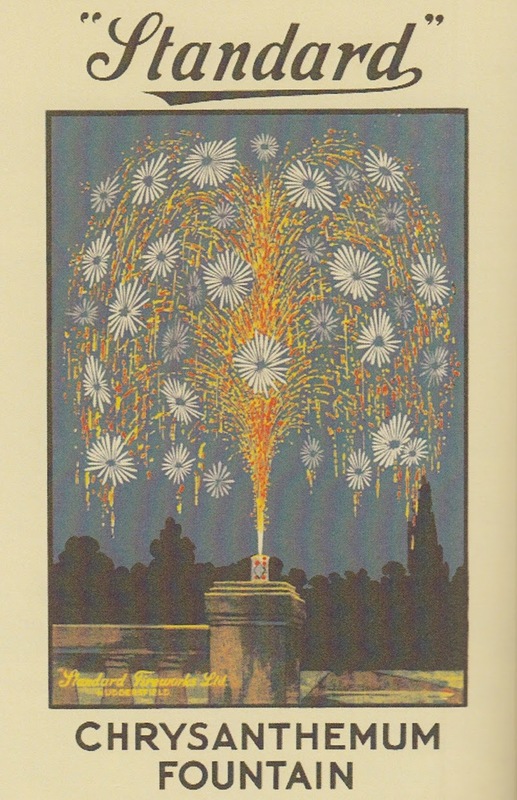 Happy Holidays: From my reference library - "Fire - Fascination, Firework, and Festival"
From my reference library - "Fire - Fascination, Firework, and Festival"
Last October I did a post about Mark Fleming's book, "Firework Art". Don't go there yet! 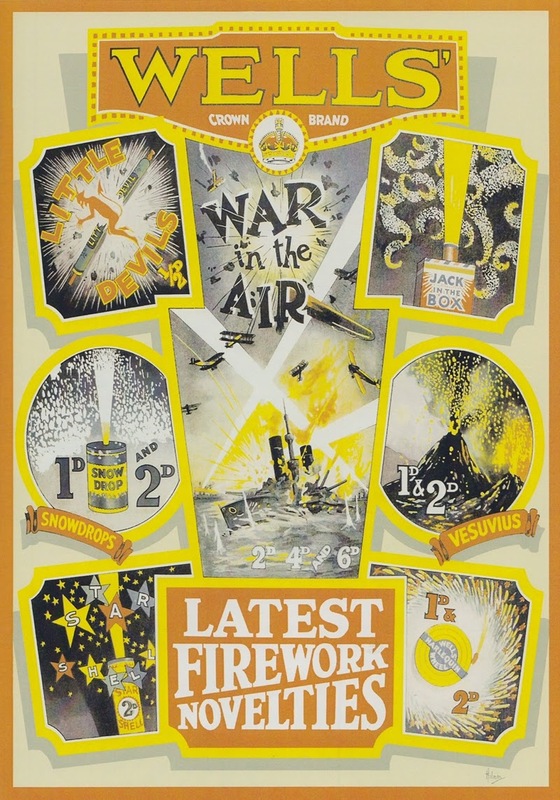 That book was a celebration of the artwork that decorated the old British firework casings. 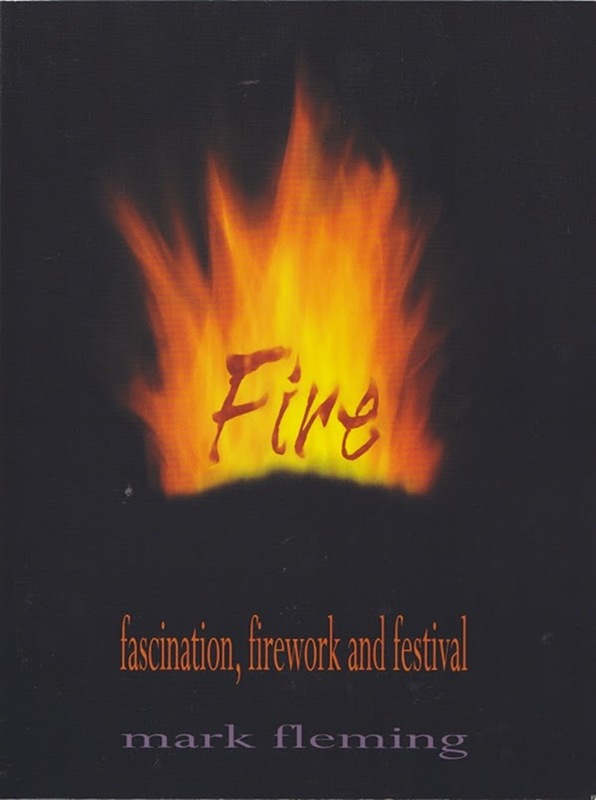 Mark Fleming published "Fire - Fascination, Firework, and Festival" last October 2013; a companion book to "Firework Art". Unfortunately it is only available in the UK. I do know people in the UK and managed to obtain a copy. 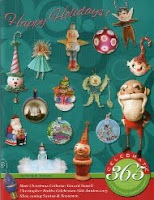 It is available as a free PDF eBook. I will give the link at the end of this post. 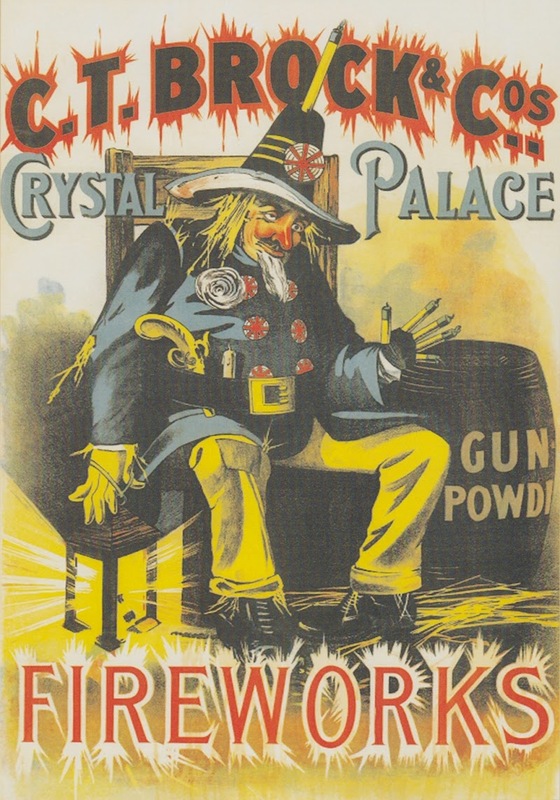 Guy Fawkes Day, also called Guy Fawkes Night, and Bonfire Night is also referred to as Fireworks Night. This is definitely a British holiday but I love the graphics and imaginative lettering used to convey the fun and excitement of the night. 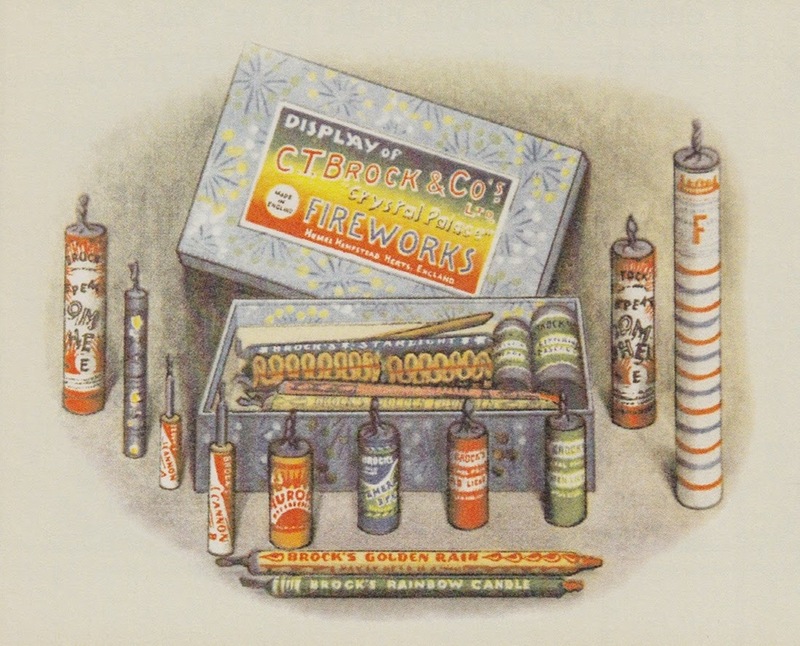 Mark Fleming goes into the history of the large and small fireworks manufacturers, almost all of them now no longer in business. Fireworks are now imported from China. 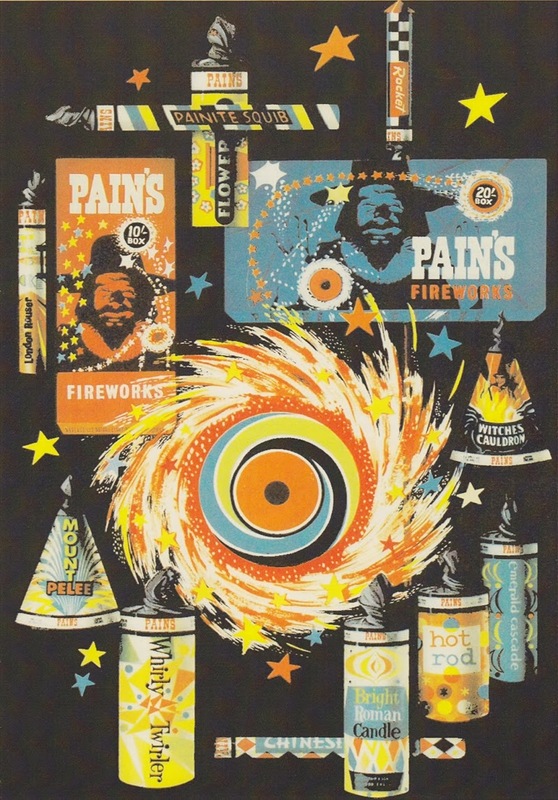 The graphics for Well's Crown Brand Fireworks are an absolute delight, show and tell at its best. Original Well's artwork by Fred Holman, 1930. The old 4 colour printing process lends a charm to this image of the Chrysanthemum Fountain. 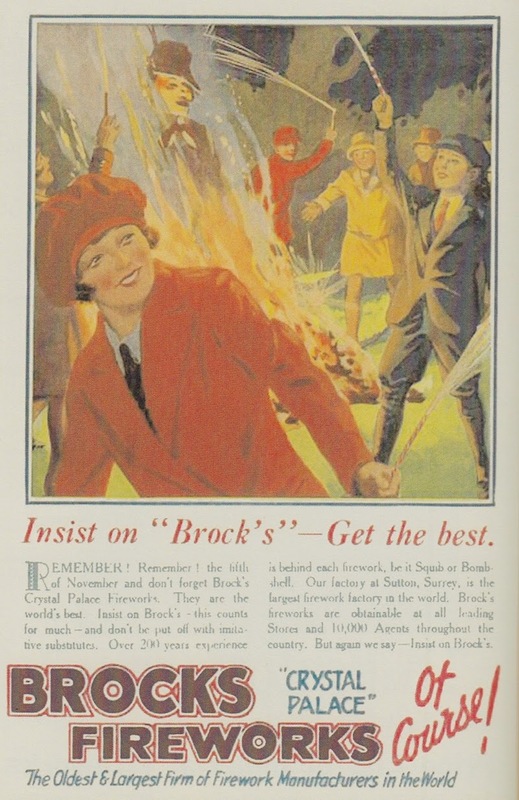 A family box of Brock's fireworks. Dancing around the Guy as he perishes in the bonfire, the fireworks pocketed in his clothing igniting sporadicly. It is a rather gruesome celebration when you think about it. 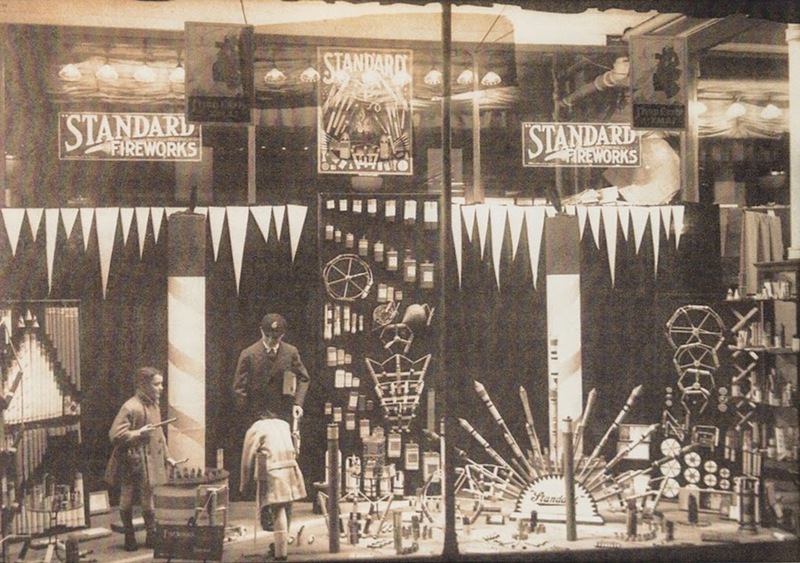 A window display of this sort would never happen nowadays due to fire regulations, and for good reason, but I am glad that this photograph was kept showing more innocent and care free times. My Hallowe'ens in Victoria were ones of trick or treating and fireworks afterwards. 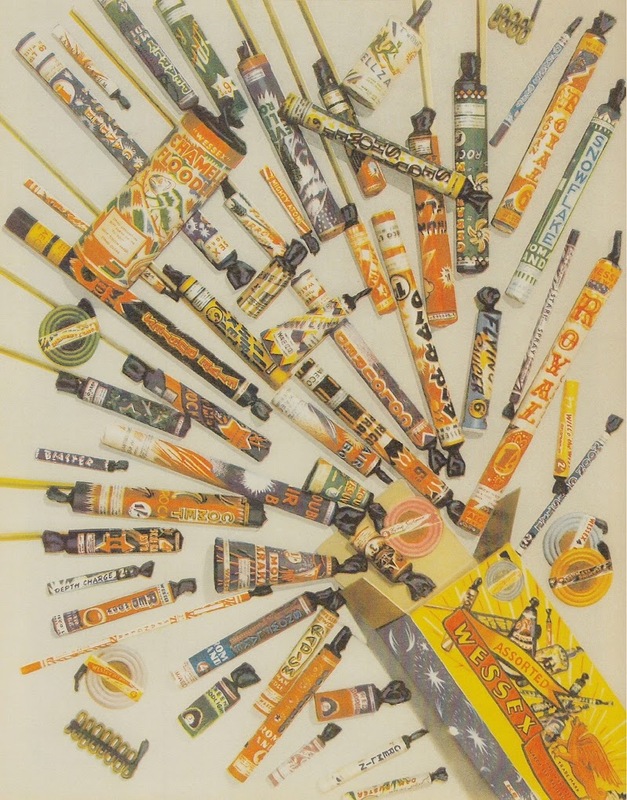 Here is a link to another post I did about fireworks and Hallowe'en. 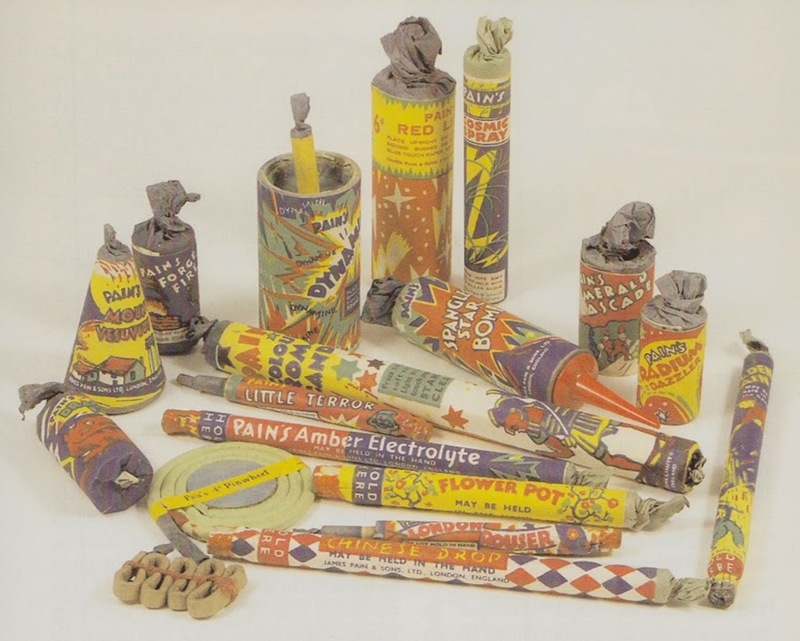 We would buy the fireworks and firecrackers several days before Hallowe'en and store them carefully in our bedroom. I would take them out and admire the Japanese labels on the firecrackers and the designs on the firework casings. 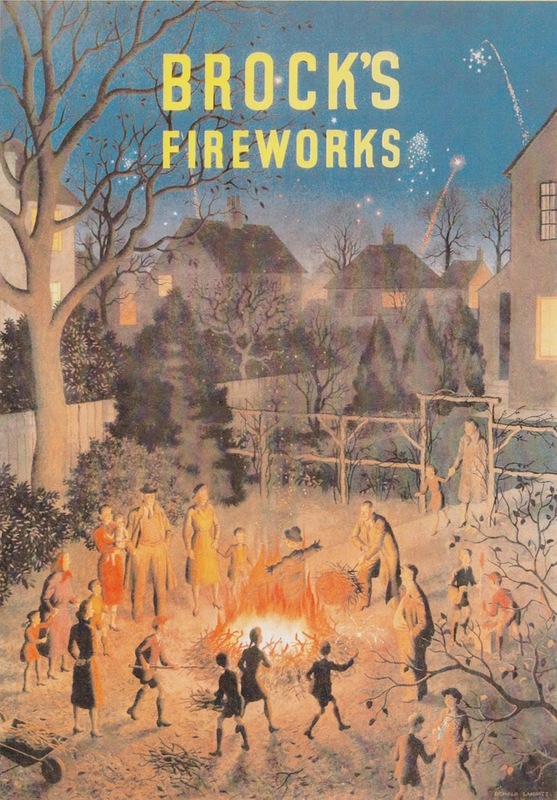 At the end of the book Mark wonders what the future of Guy Fawkes Night will be with the emergence of the North American Hallowe'en gaining popularity. I can tell him from my stand point that our Hallowe'en in Victoria, B.C., Canada was one that was definitely influenced by Guy Fawkes Night. This blog post is about Hallowe'en in Victoria as a child. A large portion of Mark's book is available to download. Click here to go to Rumble Books to download the PDF version of most of the book. We have ours on 31st Oct and our fireworks are let off then. He only wanted to rid us of Parliament, not such a baddie really he he he.